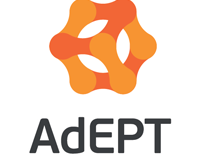 AdEPT unite communication and innovation through the use of technology. We bring the ideas and the solutions to your business to help you succeed. Put simply, we deliver products and services that help your business to grow, to be competitive, to increase profitability and to improve the way you communicate with your customers and your employees.